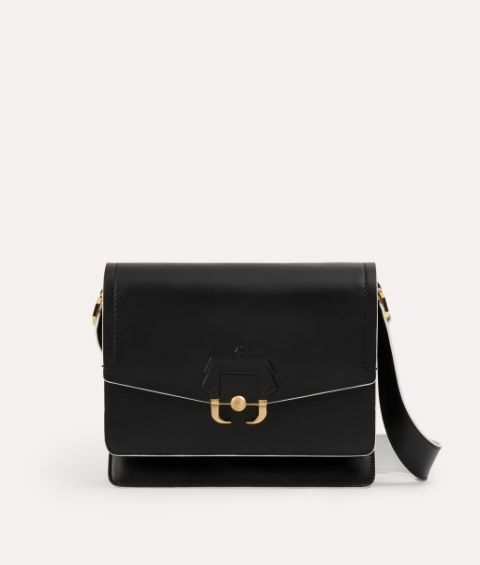 Punctuate your chic daywear repertoire with the sophisticated Twiggy shoulder bag. 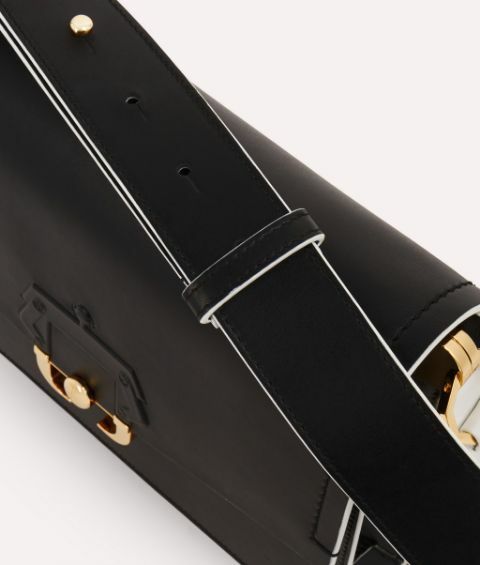 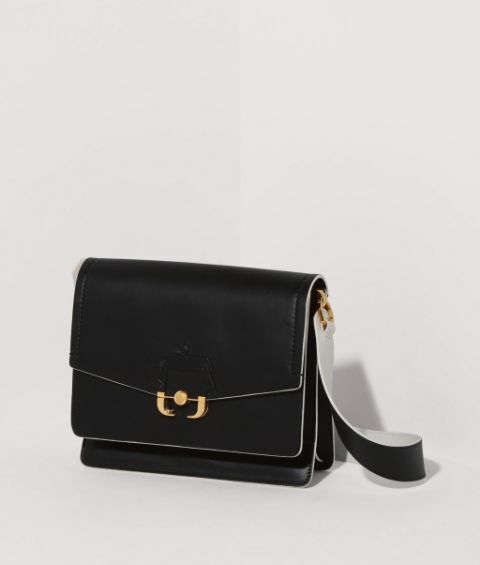 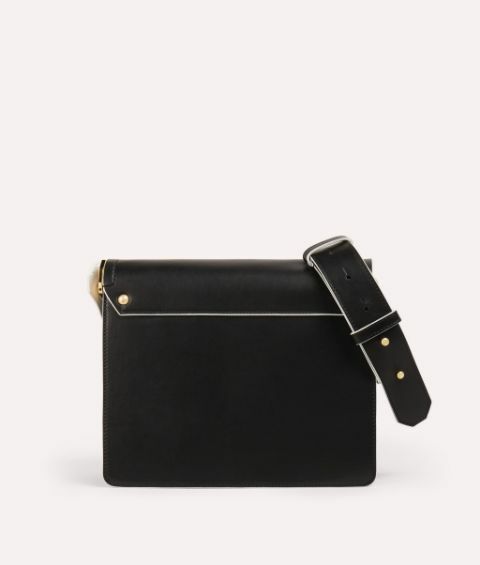 The pristine black leather and clean-lined shape is elegantly highlighted with white edging and punctuated with a glossy metal clasp. 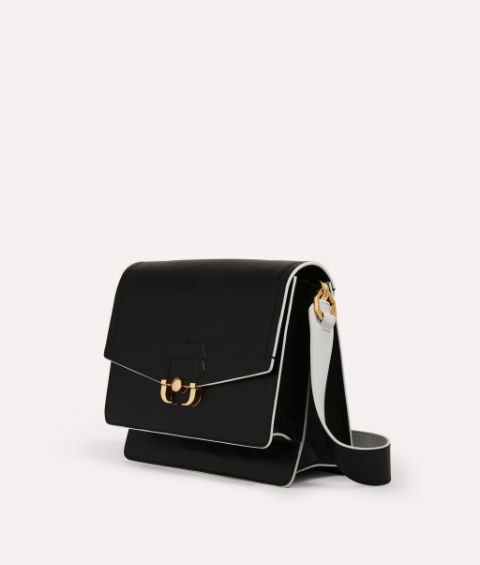 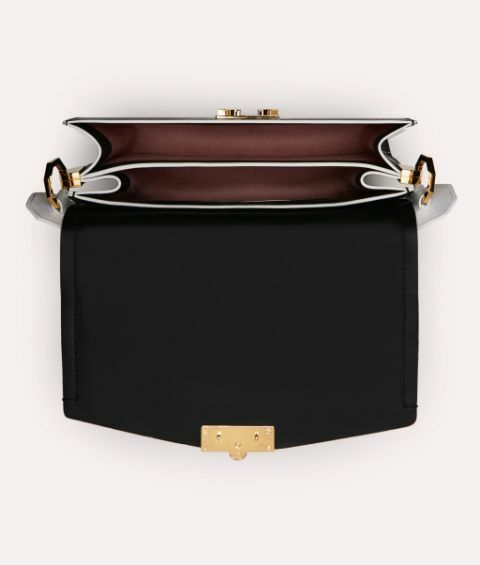 The neat compartments and sculpted shoulder strap make this flawless Italian-made piece perfect for carrying your essentials.